It is my intention to suggest that Americans, including many historians, tend to accord race a transhistorical, almost metaphysical, status that removes it from all possibility of analysis and understanding. Ideologies, including those of race, can be properly analyzed only at a safe distance from their terrain. To assume, by intention or default, that race is a phenomenon outside history is to take up a position within the terrain of racialist ideology and to become its unknowing-and therefore uncontesting-victim. 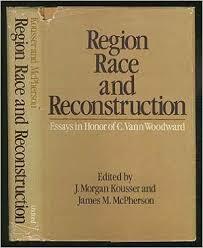 Thus the construction of race must be studied in its social and ideological context. I think this is a key point, and one that bears repeating because I still find it shocks me every time I see anew the extent to which human beings are capable of being perfectly at ease with a common sense view of the world that incorporates completely conflicting views. The idea one people has of another, even when the difference between them is embodied in the most striking physical characteristics, is always mediated by the social context within which the two come into contact. This remains true even when time-honored tradition provides a vocabulary for thinking and talking about the other people that runs counter to immediate experience. In that case, the vocabulary and the experience simply exist side by side … An understanding of how groups of people see other groups in relation to themselves must begin by analyzing the pattern of their social relations-not by enumerating “attitudes” which, endowed with independent life, are supposed to act upon the historical process from outside, passing through it like neutrinos to emerge unchanged at the other end. White supremacy is a slogan, not a belief.29 And it is a slogan that cannot have meant the same to all white people. Those who invoke it as a way of minimizing the importance of class diversity in the South overlook this simple but basic point…. This is actually a rather hopeful understanding of white supremacy perhaps, one that can be levered apart, maybe dismantled little by little. Maybe. Though it’s complicated, right? A holistic view also shows how multiple aspects of life prop up understandings of white supremacy, and even life experience does not necessarily challenge that. This kind of gives me chills it makes so much sense — especially the extra-chill factor of the bolded bit. Academia and the non-profit world are both rife with examples of ‘patronising tolerance’, I find so useful this understanding of the distinction between the two. We have to look to history to understand the shapes of these ‘spaces occupied by racialism’, always a key to US politics from its beginnings with slavery. This is echoed in Roediger, who has done some of the best work in understanding how this space has been shaped. His work also supports Fields’ argument that it just didn’t have to turn out this way, that this was not in fact what most people wanted.